Young jewellery designers can express their unique artistic flair with the generous number of beads—over 220, in detailed shapes including hearts, flowers, and butterflies—as well as 8 colour-coordinated cords. This allows them oodles of options for creative play. 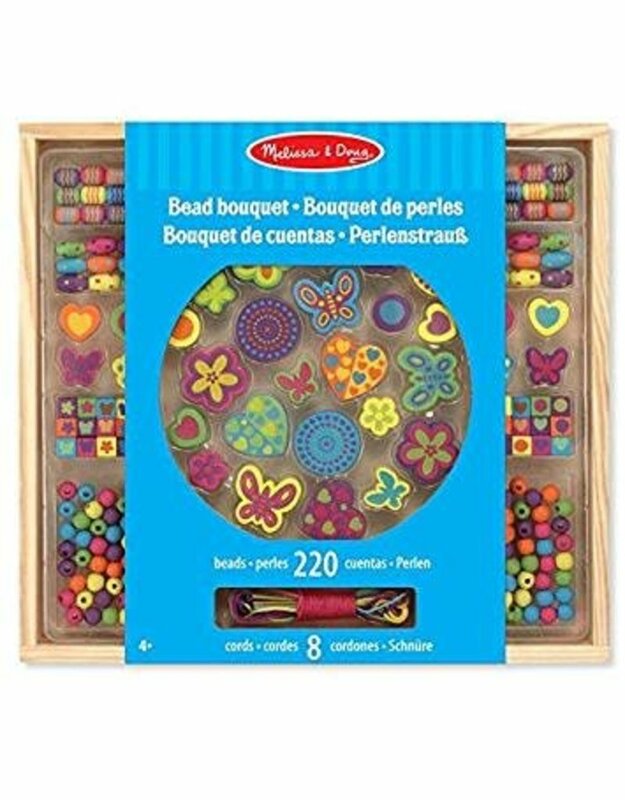 From necklaces to bracelets to anklets and more, their creativity will bloom with this Bead Bouquet, which they may use for designing and stringing necklaces and more. The wooden sorting tray comes with 8 multicoloured cords that can be cut to the size you choose—necklace, bracelet, or ankle. 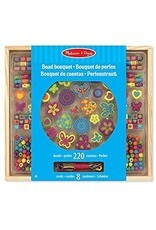 It is a perfect skill building craft for stringing, patterning, fine motor, and designing skills. The high-quality materials and beautiful beads produce impressive results that kids will be proud to wear and share with friends and family.